Baptizing Leyla Tomasa Salinas into Christ. Last year we were able to study with, and baptize, her mother Esperanza and her sister Dania. It was a pleasure today to be back in their home to study with Leyla. Please pray for her father Gilberto, that he will soon make a commitment to Jesus Christ. 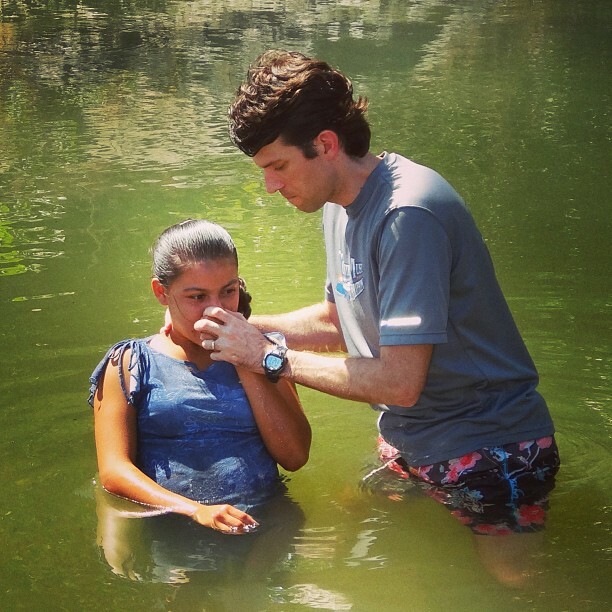 Home » Blog » Faith » Baptizing Leyla Tomasa Salinas into Christ. Last year we were able to study with, and baptize, her mother Esperanza and her sister Dania. It was a pleasure today to be back in their home to study with Leyla. Please pray for her father Gilberto, that he will soon make a commitment to Jesus Christ.